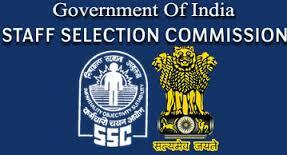 Latest SSC – Staff Selection Commission Jobs Notifications 2019 – 2020: Staff selection recruitment is an organization under Government of India to recruit staff for various posts in the various Ministries and Departments of the Government of India and in Subordinate Offices. One of the most desirable organizations for Government exams in India. Every year thousands of vacancies are filled by SSC jobs in Government departments. So stay tuned to our Site to get latest Updates of Government jobs, private jobs, Placement papers here. Latest SSC jobs Recruitment 2019: Its great opportunity lies ahead for all the SSC aspirants. They would have two types of examinations in SSC jobs. SSC has CGL and CHSL. CGL Means Combined Graduate level Exam for the recruitment of Grade “B” and Grade “C” category posts in various Government Ministries, Departments and Offices. CHSL Means Combined higher secondary level for the recruitment of Data entry operator & Lower Division clerk. Check below latest SSC jobs recruitment jobs 2018. SSC has announced the Upcoming SSC Recruitment jobs, prospective job vacancies open for suitable candidates in 2019. Interested job applicants will need to meet the eligibility criteria, and apply for these job vacancies. This exam is one of the most coveted and sought after exams in the country. They have different procedure to fill the vacant position such as written test. Candidates who have the eligibility can apply for this job. you can find the previous papers ,applications,syllabus use them and make it as your preparation. Jobschat is a hub for all Government & private Jobs in India Latest Recruitment Notifications , Results , Admit cards, Cut off marks , Application forms, Selection process , Syllabus , Placement papers , Previous Papers , Study materials , Tips.